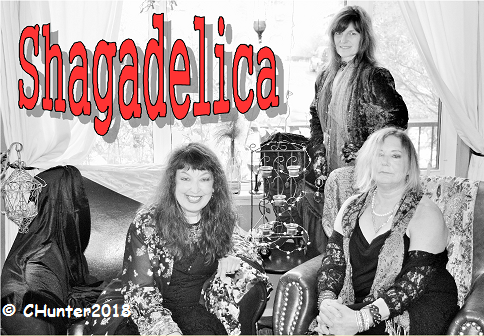 Shagadelica returns to the Local Bar for a night of 60's, 70's and 80's Girl rock and classic rock, as well as blues, soul, and world music. Fronted by female powerhouses Pam Phillips (Bass, Vocals), Barbara Chambelin (Keys, Guitar, Vocals), and Kim Rogers (Guitar, Vocals). Backed up by Guy Chan on drums and vocals, and Roxx Hunter on lead guitar.